- Price action over the prior few days. The metals market has clearly been pushing higher and MAY be developing a break out. Are you one of the masses who are told what to think about the metals? Do you blindly believe what others tell you about the metals market? Do you only read articles to confirm you own personal bias about the metals? Or, do think for yourself when it comes to the metals market? If you are looking for me to tell you what to think or if you are looking to confirm your own bias, then I suggest you stop reading right here, and please move on. If you are interested in thinking for yourself about this complex, and questioning the "common-think" presented throughout the media, then, by all means, please continue reading. I am quite certain that you are like most of the metals investors out there that read everything you can possibly get your hands on before you make your decision about buying metals. I am sure you have read all about whether a Clinton presidency or a Trump presidency will be good or bad for metals and you can probably outline to me which analyst believes what. But, how do you make a decision based upon all the differing perspectives about the supposed move in the metals based upon the outcome of the election? Do you simply add up those looking to the long side and compare that to the number of those looking to the downside in order to make your decision about which way you will be looking? Along the same lines, if you read what everyone was saying back in December of 2015, you were probably waiting to buy gold when it dropped below $1000, of which the majority at the time was so certain. Were you also buying gold at $1,900 when the majority at the time was so certain we were imminently going to eclipse $2,000? Or, have you recognized the folly presented by the majority opinion yet? So, if you read all you can, then you also know how you are told that the movements in the US dollar will certainly move gold in the opposite direction of the dollar. You are also told that when the equity market moves down gold moves up. And, I have been writing for years telling you to test these theories on your own to see just how true they are. I have warned you that much of all of this conjecture you read is simply regurgitation of commonly accepted fallacies which have caused losses for many investors believing in them. Just look at the trading day on Friday. The stock market was rallying all morning, the dollar was falling at the time, and gold was doing absolutely nothing. If one believes that a dollar decline causes the metals to rally, you were scratching you heard. And, if one believes that a rallying stock market causes the dollar to decline, then you too were scratching you head. Moreover, we had a "market moving" jobs report early that morning, yet, the metals market really did not react. Was gold confused? Did it not know which signal it had to follow? It almost stood there like a deer caught in the headlights not knowing which way to go. You see, this is the inherent problem with trying to follow the substantive nature of various catalysts in order to know which way gold will move. If you are a news follower, you jump from one event to the next. Yesterday it was the dollar that supposedly moved gold. Today, some claim it was the Brexit news should supposedly move gold. Tomorrow they will claim it is the election that moves gold. But, I have to ask you, when you take a step back, does any of this really make sense? Do you really think gold is looking around every day at the news events and then deciding whether it wants to move up or down? If news events really moved metals in the manner most believe, do you really think we would ever get a strong trend in the market, since news is always changing? I mean, what was the trending news event to which gold was paying attention when it rallied from 2009-2011? It certainly was not the decline of the stock market, as the stock market was certainly heading higher during that time period. And, it certainly could not be the decline of the US dollar since there was a very strong rally in the dollar also seen right in the heart of that time period. All I ask of you is to test the theories that seem to be commonly accepted as "truisms." To that end, I simply ask for a little intellectual honesty from those reading my articles, as I believe your investment account will benefit from independent, intellectually honest thinking, as compared to following the "flavor-of-the-day." But, if you chose to place your reliance upon news events, then is there some scientific weighting we must give to differing news events? Do we weigh the dollar action less on the day we have another news event, or when the stock market goes up? Would that explain gold's confusion on Friday since it did not rally even though the dollar dropped? If so, I have not seen any of the news followers provide us with this "secret-sauce" of dollar-weighting. If you have one that can be back-tested as a reliable signal to divine the direction of gold, please do let me know, as I have never seen one. Personally, I think it is madness jumping from one event to another trying to divine's gold's direction from the substantive nature of the news being reported. Honestly, have you not been burned enough through the years trying to invest using this "method?" Have you not seen enough analysts being viewed as contrarian indicators because they prognosticate using this "method?" As Obi-Wan Kenobi said to Luke Skywalker, "search your feelings. You know this to be true." Right now, everyone seems to be following various theories about the election, with differing expectations about which presidency will be "better for gold." And, we seem to have equally weighted expectations, as many seem to believe that a Trump presidency will cause gold to rally, whereas many seem to believe that a Clinton presidency will cause gold to rally. Yet, I still do not understand why either presidency really has any affect upon gold. At the end of the day, I stand by my expectation that gold will likely be much higher when the next president leaves office than where it resides when this person takes office, and that applies no matter who is elected several days from now. But, with the current set up I am seeing in the metals, we clearly are set up for movement no matter which candidate wins the day. "Your assumptions are your windows on the world. Scrub them off every once in a while, or the light won't come in." Those that have read me on Seeking Alpha when I first began writing here in August of 2011 only thought of me as a gold bear. And, when I started moving to the opposite direction in my public writings back in October of 2015, telling people to prepare to move into the complex on the long side in a big way, it took many by surprise. I am much more comfortable being a gold bull than I am a gold bear. But, no matter what I chose to be at any point in time, you will know that I am simply being honest with my assessment of the market. I will never tell you what I think you want to hear, nor will I ever be a perma-anything, as I recognize that markets do not move in only one direction all the time. So, right now, I have to be honest and tell you that I WANT to be a bull, but the sentiment pattern I have been watching has been making me very hesitant to be a raging bull just yet. While I noted to the members in my Trading Room at Elliottwavetrader.net on October 9th that one should be looking to the long side in the complex from a risk/reward perspective at the time, I am not as certain about that on November 6th. Right now, I think the risk's have risen for another potential drop to be seen later this month. For now, I still see the potential of a low being struck that is below the early October low, but I am willing to be convinced over the next two weeks should we fill out a more "bullishly impulsive" structure up towards the 29 region in the GDX. However, to put it simply for the coming week, any sustained drop below 23.90, which is unable to immediately climb back over 24.60 is a strong warning that we are likely heading down to the 20-22 region. Remember, our next larger target region for the GDX is in the 60-70 region. So, you may not be missing too much in being a little more patient over the next two weeks. 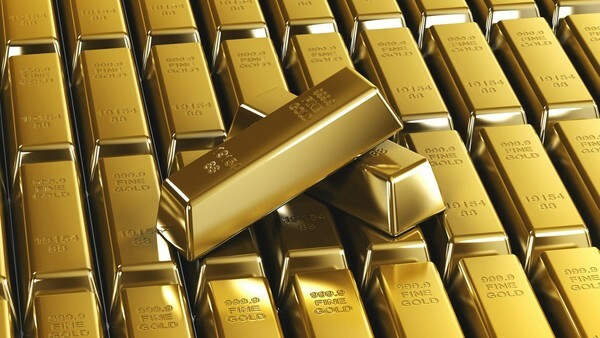 In fact, it may pay to be just a bit more patient, as you may get a chance for an even bigger sale on the price of gold, silver and mining stocks.